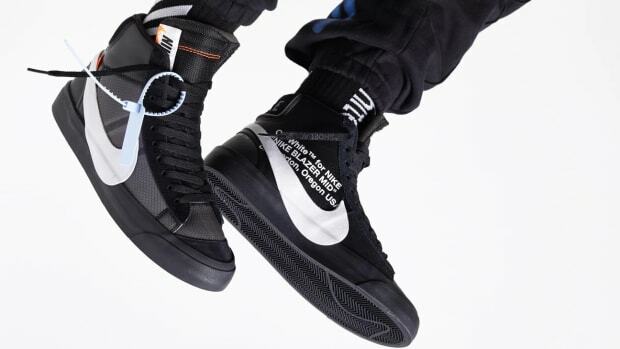 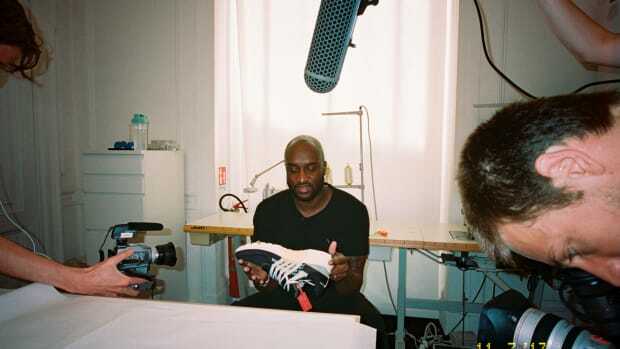 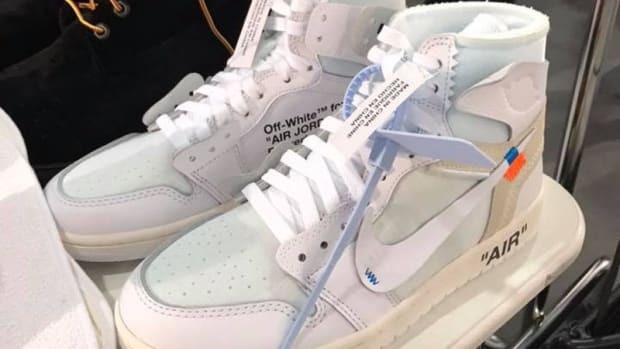 At Coachella this weekend, Virgil Abloh uploaded an image of a new Nike collaboration to his personal Instagram. 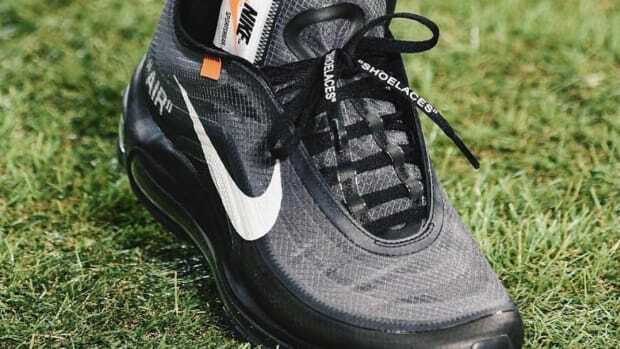 The teased sneaker draws inspiration from many runners in Nike&apos;s history. 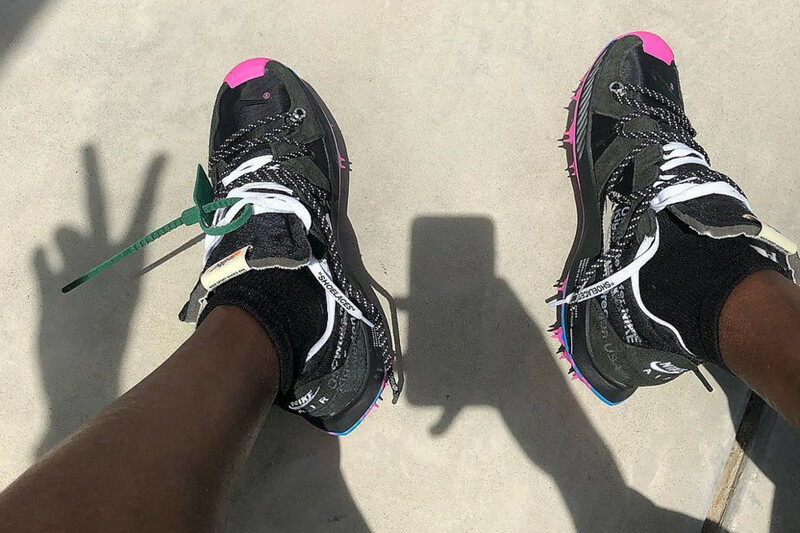 Sporting a black and white colorway with pink ACG-inspired tread, we can see hints of the Air Structure Triax &apos;91 in the toe box all the way to the mid-foot where the iconic Waffle Racer mid-section and heel start to look prominent. 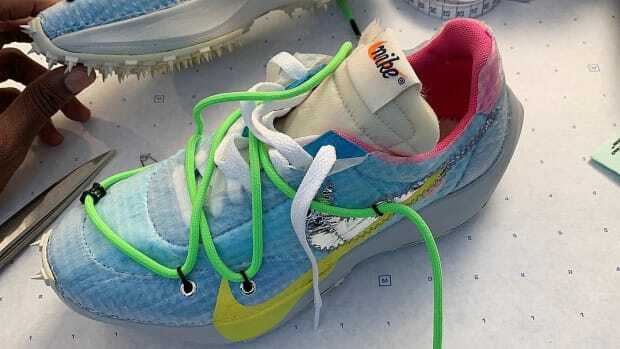 Finally, the fat tongue used on previous Off-White x Nike Prestos rounds out the running sneaker theme. 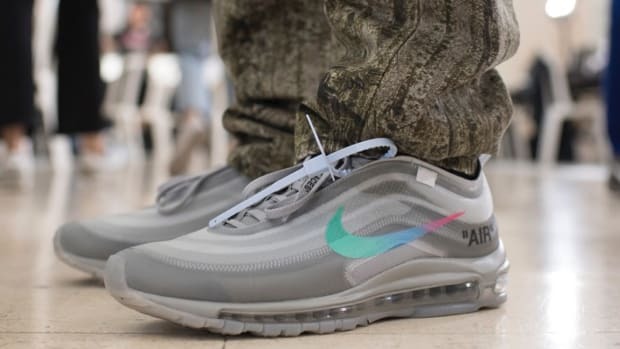 Nike Air branding on the heel section, "SHOELACES," and a deep green Off-White hang tag finish off the details. 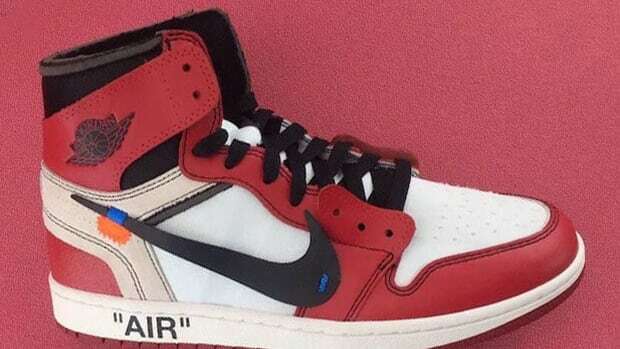 Stay tuned for more information on the sneaker and possible release date. 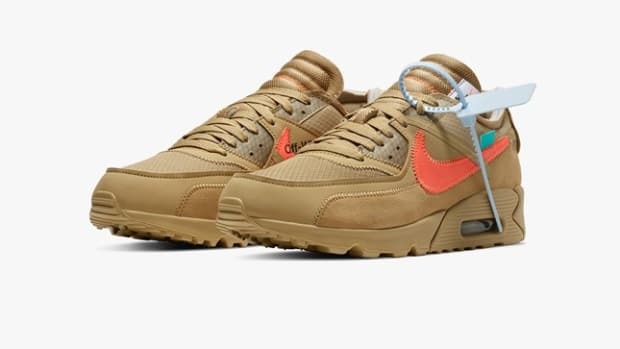 Off-White x Nike Air Max 90 Releasing Next Week in "Black" and "Desert Ore"